Aman Bathla, India’s Piano King, is a man with several facets and incredible fingers of gold and continues to paint the canvas of instrumental music with his master strokes of passion and perfection. Aspiring to touch the human race with the soulful ragas of classical music, Aman Bathla has enchanted audiences from all over the world and created history on the golden pages of piano playing, time and again. As of today, Dr. Bathla holds 52 World Record Titles from across the globe for being the Fastest Piano Artist of the World. The most recent to join his bountiful list of awards istitle of 'Raaga Pianist' by Golden Book of World Records when he played 111 Indian Classical Raagas on piano and created another World Record. Fastest Piano Artist of the World (in the category of Most Notes Played on Piano in One Minute (2221) and Worlds Fastest Piano Player(in the category Most Notes Played on Piano in One Second (47). Dr. Bathla is the first and only pianist from India to have received the Bharat Gaurav Award, Haryana Ratna Award, Genius Musician of the year, Entertainer of the Year, Person of the Year by Navbharat times, World Excellence Award, Atal Piano Pratishtha Shikhar Sammaan at the Parliament of India, Honorary Doctorate by World Record University, Indian Achievement Award by the officials of Govt. of India and many such national and international accolades in the field of art and culture of India. As a Music Therapist, he has also been honoured with Rajiv Gandhi Excellence Award for serving the society with his music healing and meditation sessions. He has received his second international Doctorate for his thesis on Music Therapy (Prenatal Specialist) from the Common Wealth Vocational University. By catching the right shade and mood of music, Dr. Aman Bathla, for the past many years, has been creating therapeutic music for Garbha Swaasth (prenatal wellbeing). His pious melodies give the mother-to-be a chance to nurture her connection with her unborn child. Dr. Aman believes that music is universal power tool for healing and thus constantly innovates and experiments to invoke positive results that can aid prenatal health. 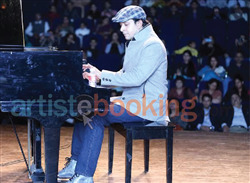 Piano maestro Aman Bathla has educated and trained over 1000 students,across various age groups. He has also been honoured with World Piano Achievement Award in the capacity of a mentor. Being an educator for the past 10 years, Dr Aman Bathla is of the opinion that children should receive music education right from the start as music is considered as a fundamental component of human culture and behaviour. He believes that music must be inculcated into the system of young children, just like any other language and form of expression. 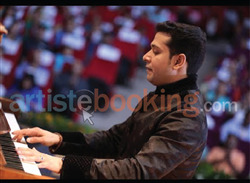 Besides being a music therapist (Doctorate in Prenatal), an awarded educator by ECOSOC, UNICEF and UNESCO and a renowned TEDx Speaker, Piano Maestro Dr. Aman Bathla is one of the best concert players of India.His performances comprise of Indian classical based self-compositions and Bollywood music recitals. He is immensely versatile and can play multiple musical instruments and those who swear by his raga based compositions say that it straightaway reaches the soul and transports one to an entirely different world of tranquillity and calm. Currently, he is working on a plethora of both national and international projects that include background music for meditation tracks, prenatal wellbeing music tracks and many other commercial music pieces. Detaching himself from a very lucrative business based legacy, very early on in life,all for the love for music, Aman has been a dedicated fantasist.He constantly works towards fulfilling his dream of serving mankind by playing his compositions based on Indian classical music, thereby becoming an influential ambassador of the art. His highly acclaimed music academy- ‘Aman Bathla’s Passionate the Piano School’ is one such step in the direction of philanthropic music. 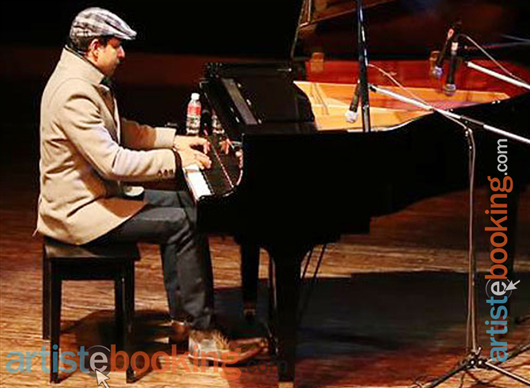 Through his accredited piano school, Aman Bathla is nurturing the young and enthusiastic music talent of the nation. Three of his students have brought laurels to India by creating world records in the category of ‘Young Achievers in Music’. After receiving education from Aman Bathla’s Passionate the Piano School, many others have graduated to opening music schools of their own, spreading the melodious discourse of Dr. Aman Bathla far and wide! Dr. Aman Bathla has fully embraced technology and innovation, leading the way in bringing classical music into the 21st century. His tireless energy and boundless drive to divulge the goodness of classical music to all definitely makes him the ‘key of inspiration’ for generations to come. 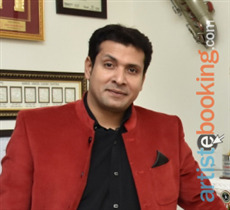 Why Book Aman Bathla Through ArtiseBooking?